WHEN Ms Karen Koh started out as a nurse in a cardiac clinic at the National University Hospital (NUH), her daily routine mainly involved educating patients about heart disease. A decade later, and still at NUH, the 36-year-old nurse has far greater responsibilities. For one thing, she spends up to 20 minutes with each patient, conducting post-discharge check- ups, ensuring that they are responding well to treatment and is even able to diagnose simple ailments they may have. Ms Koh is one of Singapore's growing number of advanced practice nurses, or master's degree-qualified specialist nurses. Unlike regular nurses who hold a diploma or bachelor's degree, advanced practice nurses are qualified to do physical examinations, diagnose and treat common ailments and manage patients' use of medicine. There are 78 such registered nurses here; they specialise mainly in medical-surgical, mental health, acute care and community health. All but one are Singaporeans and permanent residents, said a Ministry of Health (MOH) spokesman. Another 71 are undergoing the Master of Nursing course at the National University of Singapore Alice Lee Centre for Nursing Studies, the only local programme for advanced practice nurses. Starting with a cohort of nine nurses in 2007, the school has expanded its intake to 30 this year. MOH, through hospitals, provides funding for the $32,000 two-year course. The MOH spokesman said the advanced practice nursing track was developed in 2003 to deal with two key health-care challenges: to help nurses' career progress in clinical work; and to address the growing burden of caring for patients with multiple chronic health issues. International studies have shown that patients under the care of advanced practice nurses fare better. These include a significant reduction in length of hospital stay, re-admissions, cost of care, and morbidity and mortality rates. Such nurses can also delve into research, as in the case of the Institute of Mental Health's assistant director of nursing Arumugum Govindasamy, who sees stable patients on follow-up for problems such as depression, schizophrenia and bipolar disorder. Mr Govindasamy, 54, who has been a mental health nurse for about 30 years, was part of a study which found aromatherapy could be an alternative to medicines that could cause side effects and long-term dependence. He said: 'The work is more satisfying and there's greater autonomy and involvement in caring for patients.' He is planning to take a PhD in nursing next year. Dr Raymond Wong, who works in the cardiac department at NUH, said patients cared for by specialist nurses are 'assured of continuity of care' as patients are referred to doctors if necessary. 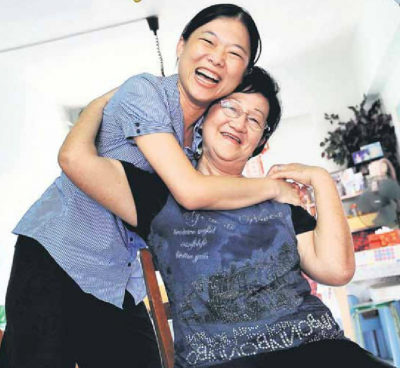 For Ms Koh, the work is more fulfilling than before, she said.